As I have been trying to submit my designs to more places lately (like print and online mags, other people's books, etc. 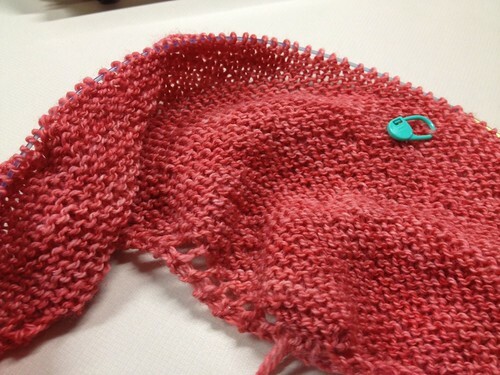 ), I have been swamped in the land of swatches and various deadline knitting. I mostly like doing these things, but at some point in the process, I just want to knit something kinda mindless, for myself, with no deadline. So I cast on for a mindless garter stitch shawl thingy. 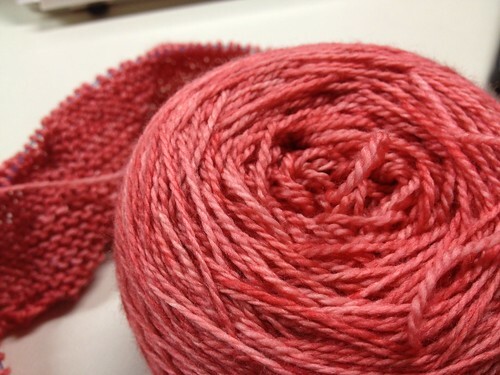 I am using Anzula Cloud and, as always, I am in love. So squooshy!